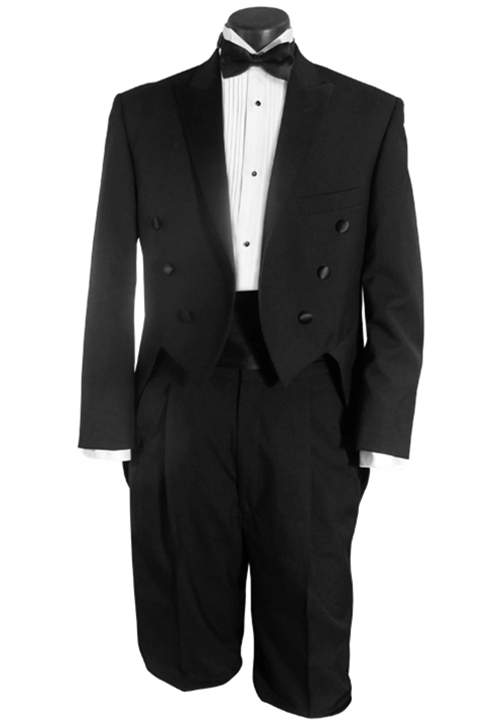 This Black Classic Collection NEW 6 button peak tailcoat tuxedo exemplifies elegance. It features a satin peak lapel, a six button front, and full dress design that promote refinement and elegance. The "original" Tuxedo, the full-dress tailcoat is true 'Black-Tie' formal attire.